This modern executive clock featuring a world map on the face is perfect for today's global executive! 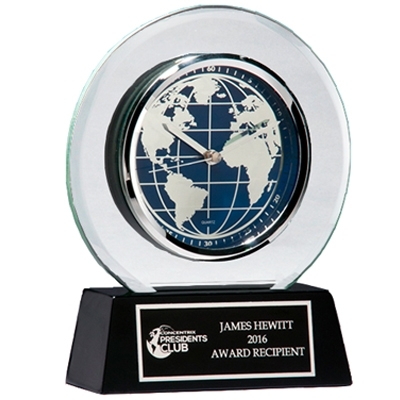 A beveled glass circular plate surrounds the clock dial and rests on a black high gloss base. Your text with logo or graphic is laser engraved on a black and silver plate.